The unusual name has many possible origins. 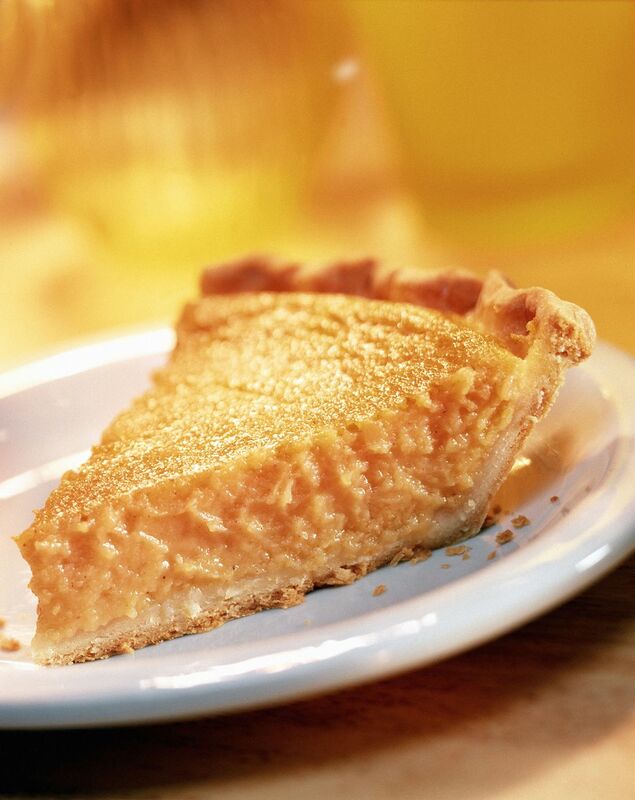 Some think it is derived from the word "cheese", even though there is no cheese in chess pie. According to Sara Belk in "Around the Southern Table," old cookbooks often referred to cheesecakes and pies that did not actually contain cheese, using the term to describe the curd-like texture. Elizabeth Hedgecock Sparks, the author of "North Carolina and Old Salem Cookery," said chess pie was "an old, old tart which may have obtained its name from the town of Chester, England." In "Southern Food," John Egerton offers two more possibilities. The first has to do with a piece of furniture common in the early South called a pie chest or pie safe. Chess pie may have been called chest pie at first because it held up well in the pie chest. The second story is that a creative Southern housewife came up with the concoction and tried it out on her husband, who loved it. "What kind of pie is this?" he is said to have exclaimed. His wife shrugged and smiled. "I don't know," she said; "it's ches' pie." Chess pie has a simple filling of eggs, sugar, butter and a small amount of flour. Some recipes include cornmeal and others are made with some vinegar. Brown or white sugar may be used, and buttermilk is a common ingredient. Flavorings, such as vanilla or lemon juice, may also be added to vary the basic recipe. For best results, refrigerate all ingredients prior to making the dough - even the flour. All liquids should be ice-cold. Chill the dough for 30 minutes for easier rolling. Use pastry flour or all-purpose. Bread flour has too much gluten to make a tender crust, and cake flour is too soft to give the proper body. Lard and shortening produce the most tender crusts. You may use half lard or shortening and half butter if you want the buttery flavor. The pockets of fat make the flakiness in the crust. Use a pastry blender or 2 knives to cut in fat. The dough should still have some pea-size pieces. Handle as little as possible with your hands. For a flakier crust, substitute ice cold sour cream or heavy cream for the water. To prevent a soggy crust, refrigerate for 15 minutes before filling or seal by brushing with slightly beaten egg white, then refrigerate for 15 minutes. Setting the pie pan on a metal baking sheet during baking also helps prevent soggy crusts. Enhance the flavor of your dough by adding spices such as nutmeg, ginger, or cinnamon. Adding sugar to pastry dough not only sweetens, it tenderizes. Blending in liquid just until the dough begins to hold together. Overworking toughens the dough. Add a teaspoon of cornstarch to your sugar before beating it into the egg whites, so your meringue won't "weep." As a final touch, sprinkle toasted ground nuts or fine cookie crumbs over the dough and gently press them in before filling or baking. A Cake Mix Makes These Southern Chess Squares Easy as 1-2-3!